The Starlite Forex Indicator use CCI default setting which were coded to custom indicator. The period is 14. The advantage of this indicator is that it give pop up messages when the market change direction from current to future. 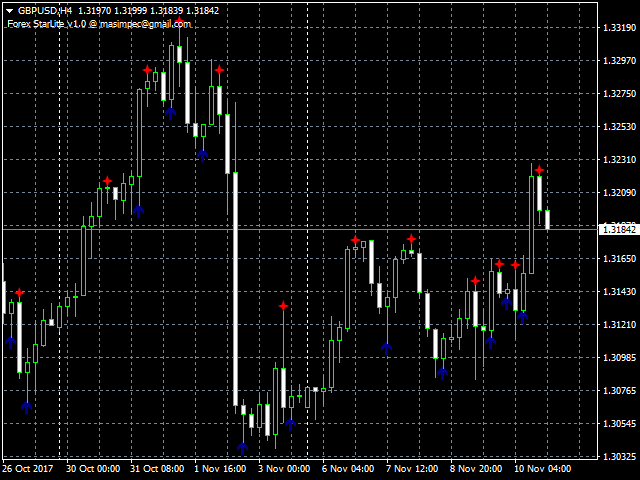 The Forex Starlite Indicator does not guarantee users of any profit. You are then required to be aware of the market changes. As a trader you are obliged to use Stop Loss and Take Profit values.